I've really enjoyed participating in the jewelry and art challenges I've found recently. They've stretched my creative muscles and allowed my imagination to flow freely. Since I enjoy the experience so much, it's important for me to share it. As such, I've compiled the following list of challenges for this month in the hope that you'll find some inspiration too. Erin at Earrings Everyday has selected a Plaid theme for the We're All Ears Challenge this month. The reveal date is October 19th. The photo inspiration for the October Honey Do List at SJ Designs Jewelry is a pretty interesting clock with loads of details. The reveal date for it is October 22nd. For the October Theme Challenge at Art Elements, Petroglyphs has been selected. You've got until October 30th to work on your piece. Remember that you can use any medium for this challenge. Make sure you let Karen know if you want to participate so she can add you to the blog hop list. On the Artisans Create Together Facebook Page, the monthly theme is Pumpkins, Acorns, Plaid, and Spice. Make sure you're a member and upload your picture into the album before Nov. 1st. Facet Jewelry's October Design Challenge is Diamonds and Teardrops. Designs must be submitted before Nov. 4th, but voting on them begins on Oct. 19th. I've only included some of the basic details about these challenges, make sure to click the links I've included to learn more about them. These are all the challenges I know of at this time. If you are aware of any others whether they're jewelry-making related or some other art medium, please don't hesitate to let me know so I can add it to the list! 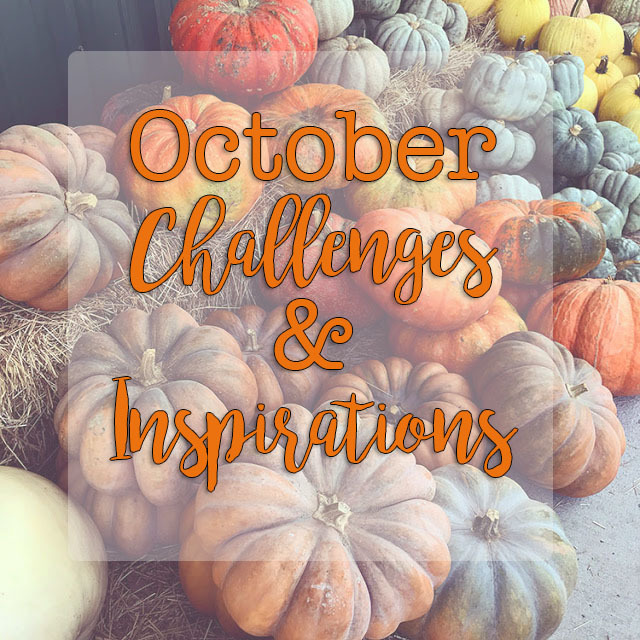 Wishing you an inspired October!